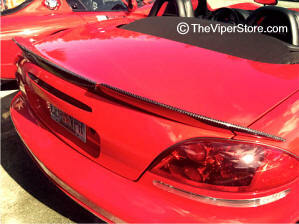 Super high quality all carbon fiber spoiler. 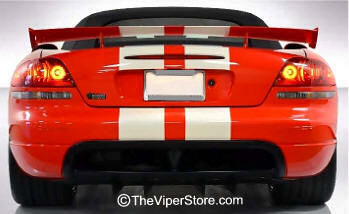 Designed and built in America to match the new Viper Gen5 (2013-current) spoiler. Easy install peel and stick like the factory original. Looks awesome. Does not fit the Coupe. Made in the USA this fiberglass wing is a thing of beauty. Bolts to the rear trunk lid therefore drilling holes is required. Strong and aerodynamic and very light weight. 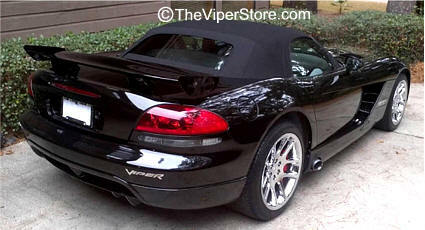 Performance GTC-500 Series Carbon Fiber Wing for 2006-2010 Dodge Viper, Choose Coupe or Convertible. 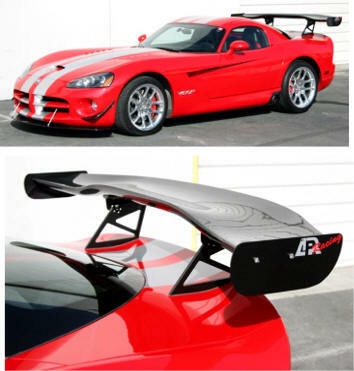 The GTC Series adjustable wing is a fully functional carbon fiber wing. 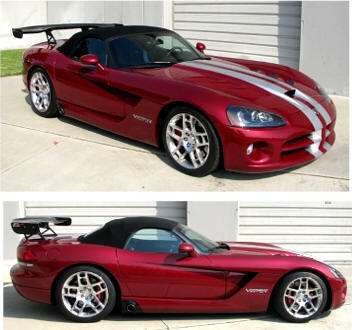 Made from carbon fiber reinforced polymer, the wing is extremely light weight and durable. Computational fluid dynamics testing has proven that the wing offers constant down force to provide your vehicle with greater traction at higher speeds. Optimum down force is created at speeds from 40 - 180 mph. Each wing comes with air craft grade 6061 billet aluminum pedestals in flat black. 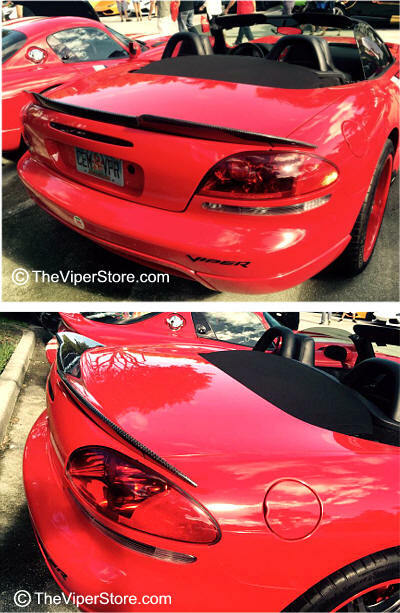 The GTC Series adjustable wing is perfect for enthusiasts looking for superior down force with minimal drag. 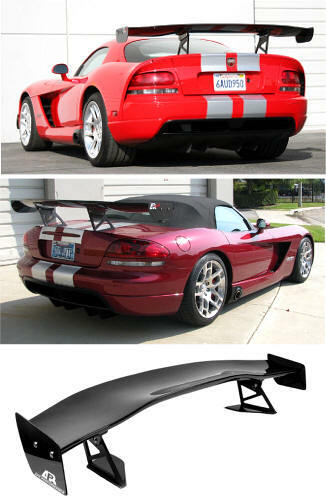 Complete with top quality carbon fiber and exceptional design, the GTC series wing is a first rate functional wing. Drilling required. 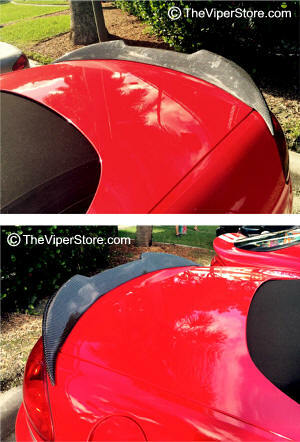 Will not utilize or cover-up factory spoiler holes (if applicable). All necessary hardware and installation instructions are included.